St John the Evangelist is located 17 miles West of central Oxford, in Carterton as part of a recently built estate, and is easily accessible via the A40. The primary school was built in 2003 to serve the growing community of Shilton Park and can now provide an excellent venue for the town of Carterton. The school offers a modern hall, large sports field, and classrooms. This modern, well-lit hall is suitable for a diverse range of clubs and groups. 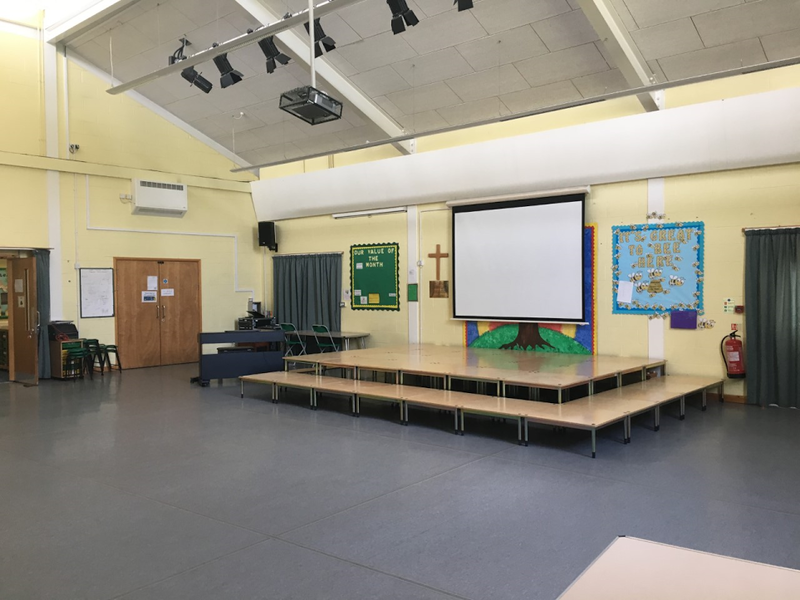 The hall offers ceiling mounted stage lighting, electric blackout blinds, and portable staging, making it the ideal venue for dance or drama performances or showcases (all available upon request only). The hall is also suitable for gym groups. 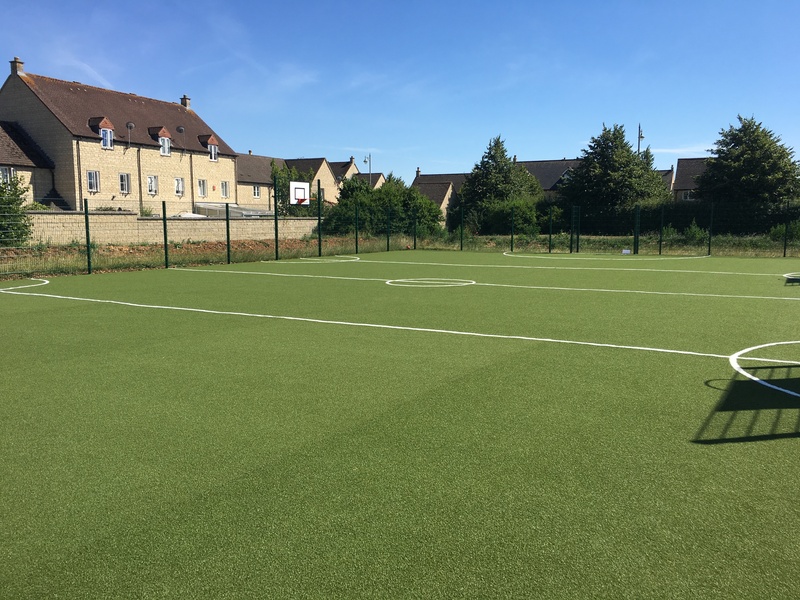 Built in June 2018, this brand new MUGA boasts a beautiful astroturf with associated white markings and recessed hockey/football goals at each end. The astroturf is surrounded by a 2m fence, and measures 30m x 18m. The pitch also has basketball or netball hoops set at 3m high. Perfect for your training sessions and matches! St John the Evangelist is surrounded by green space, perfect for outdoor activities. 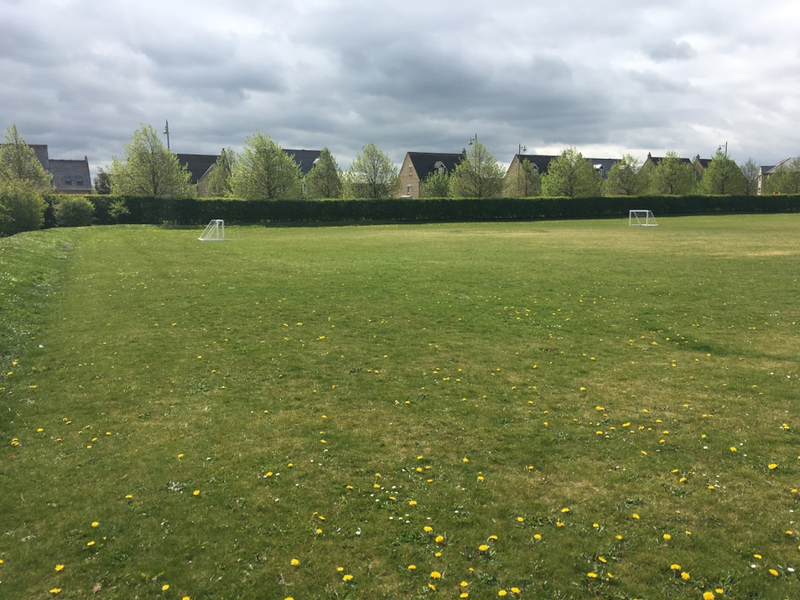 Not only is there a large playground and climbing frame area, but a grass mound and marked football pitch. There is also a marked out athletics track, and both facilities are more than suitable for any sporting activities. The size of the pitch is approximately 95m x 50m. 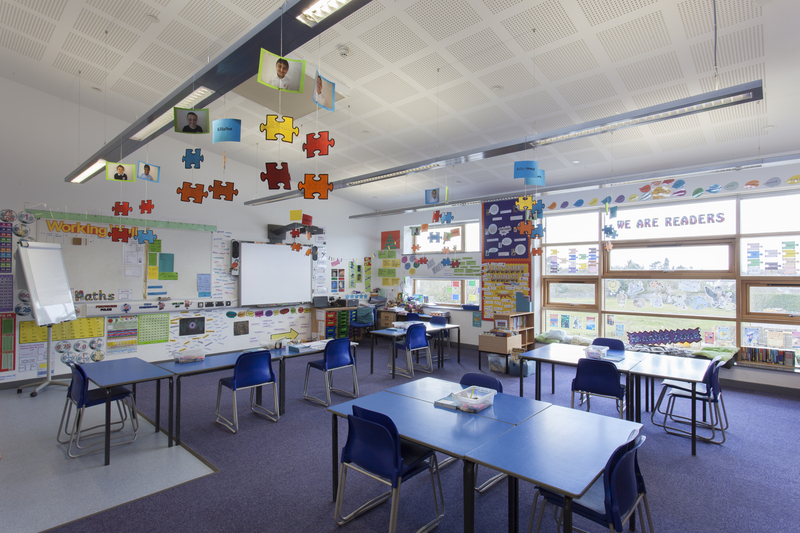 St John the Evangelist has classrooms available which are well suited for little ones. There are approximately 30 chairs which are suitable for young children due to their size. These classrooms would be great for playgroups, using the hall as a break-out play space. If you are looking to book St John the Evangelist School, please plan in advance! We are unable to accept bookings or amendments less than 7 days in advance of your proposed start date.